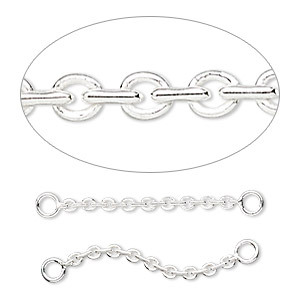 Extender chain, sterling silver, 1mm ball with 2 loops, 1-2/5 inches. Sold per pkg of 2. Item Number: H20-8946FD Have a question about this item? Extend your design options with sterling silver chain extenders. Links can be connected together, added to other chain by attaching a jumpring onto each end loop or used as dangles. 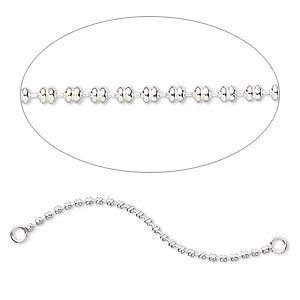 Extender chain, sterling silver, 1mm ball with 2 loops, 1-3/16 inches. Sold per pkg of 2. 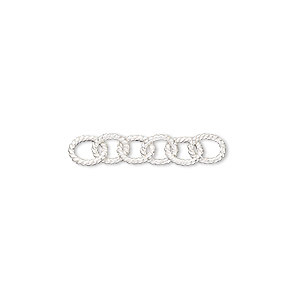 Extender chain, sterling silver, 1mm ball with 2 loops, 1 inch. Sold per pkg of 4. 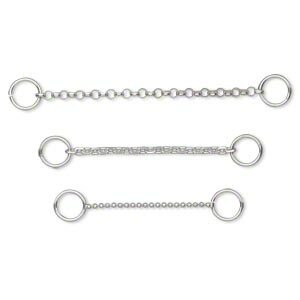 Extender chain set, sterling silver, 1mm ball, cable and link, 1 to 2 inches. Sold per 3-piece set. 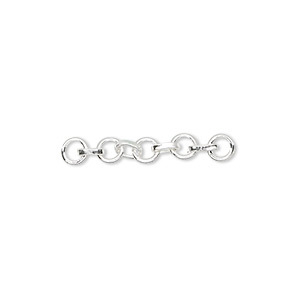 Extender chain, sterling silver, 4mm round link, 1 inch. Sold per pkg of 2. Extender chain, sterling silver, 1.5mm snake, 1-1/4 inches. Sold per pkg of 2. 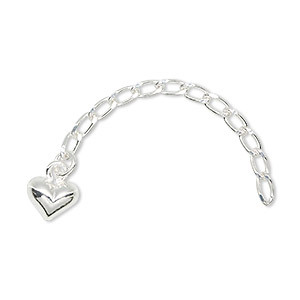 Extender chain, sterling silver, 2mm cable with 2 loops, 1-1/4 inches. Sold per pkg of 2. Extender chain, sterling silver, 1.3mm split ball, 51mm with 2 loops. Sold per pkg of 2. 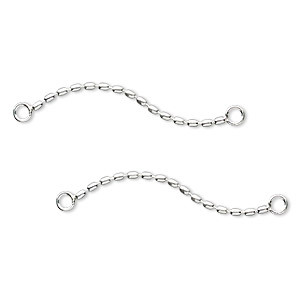 Extender chain, sterling silver, 4mm round link, 22mm. Sold per pkg of 2. 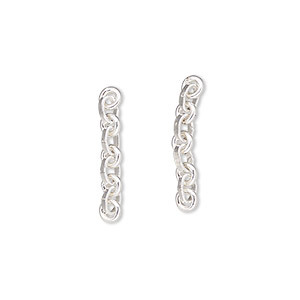 Extender chain, sterling silver, 5mm twisted oval, 27mm. Sold individually.